Kingcase Parish Church owned a large site behind their hall complex. 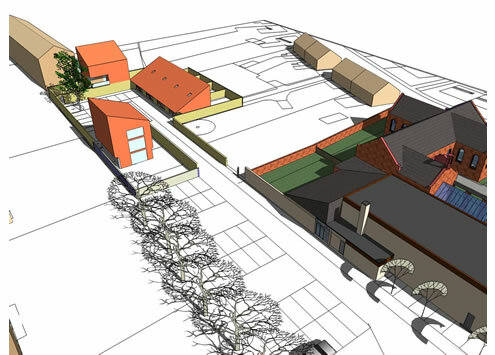 The Church formed a partnership with Ayrshire Housing to develop a new residential project on the vacant land releasing funds for improvements to the church facilities. 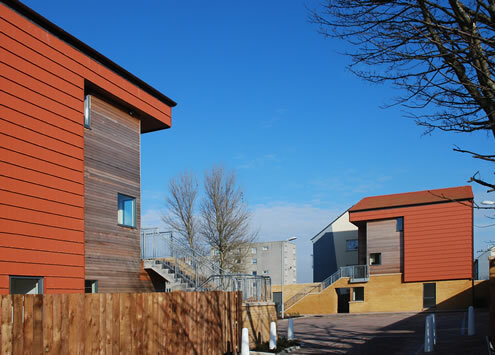 The project provides four new homes designed to “Housing for Varying Needs” standard and 6 flats. 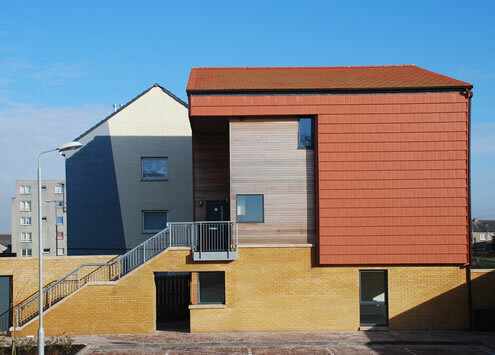 The houses and flats are arranged around an entry courtyard to form a small community group. The striking use of orange tiling as the external cladding material was chosen to enliven the surrounding depressing environment.